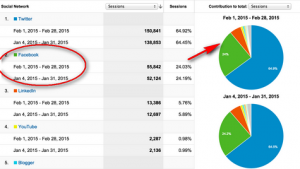 Are you really tired to increase your blog traffic? 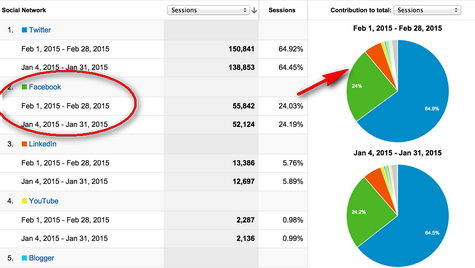 Not getting much blog traffic? No tension! Read this entire article if you seriously want to learn about how to increase traffic on your blog. We all are aware to earn money doing blogging. But some people are making good amount of money by doing blogging successfully. And, some are not able to earn expected money what they want! Do you know why? Yes, you guessed rightly! 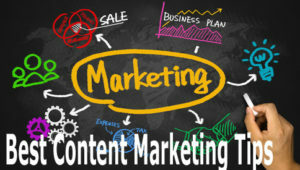 It is not easy to earn expected money by only writing content. You need to get good number of traffic to make some lavish income from online blogging. I have written an awesome post about how to start a blog for free and make money from it in my previous blog post which you can read it now! Hot Tricks To Increase Website Traffic- 10 Surefire ways Available for You! In a nutshell, the main thing is to firstly drive huge amount of traffic to your blog and if you can do this successfully, then, you are assure that, you can also earn good money by converting blog traffic into cash! Is not it much enjoyable? So, your main and the only one target is to increase more traffic on blog as much as possible to reach the goal. Ok, if you are a new blogger and not getting more traffic then, i suggest you to read this post with more patient! To get 1000+ traffic on your site you may follow these ways listed below and you know that it needs hard work! There are a lot of social web-sites to share the post of your blog on these platforms.. Facebook is one of the top social networking sites generating a great number of user daily! At first, Create an account on Facebook.com and start to make good connection with people. But a little secret here is that, do not make anyone friend, try to make friend who is also a blogger and eager to read your blog. Just guess it yourself what kinds of people have more interest to read your niche related topics. Suppose you have a blog related blogging tips, then you should try to share your blog who love blogging and also he or she is a blogger. Remember this, if you expect to get good results you should engage your audience first! Well, Let’s do a crazy calculation here! Say, you have 2000+ Facebook friends on your ID. You share site link with them. And among all facebook friends, we can assume that, at least about 50 friends will share your post to their friends too if they are like minded. Right? By this methods, you can get more readers coming to your blog! It is not a specific calculation. You may able to get more or less which really depend on your work! You can also increase traffic on your blog by joining some targeted and niche based Facebook groups which perform very well in blogging niche! * Make sure to Join topics related groups as much as possible. * Always, try to share your best and killer article on these targeted Facebook groups regularly. * Share only interesting article on Facebook groups multiple times on a regular basis. But, you should mind that, not to spam! You may firstly join 50+ Facebook groups to maintain it properly. After getting approval share your latest best article on these 50 groups. * You may, share 2-3 interesting articles on these 50 groups daily. Continue the process rightly and you will see the good flow of traffic to your blog day by day. Driving traffic from pinterest platform is easy if you follow some tricks! You may know that Pinterest is a good source for driving a lot of web traffic effectively! Is not it? I am receiving more traffic from pinterest daily. What I usually do is to share only interesting Content with them. Do not just share any kind of post or which is not relevant to your audience! You might know that, there are about 80% of pinterest users are female! I wan to say you, always make interesting content which avail to attract specially the female users! It is a crazy idea to drive more traffic on the website from Pinterest what I know. But it works! You must remember that, have a Pin Button in your site so that readers can easily pin your post if they like it! It is also a good way to increase your blog traffic by bookmarking your every blog post. There are many social bookmarking web sites available where one can create account and bookmark blog post or web link easily. But, always Dofollow social bookmarking sites works good for SEO. So, bookmark your blog post on different dofollow social bookmarking sites and enjoy some free traffic to your blog daily! Always mind, spamming is not allowed. If you do, you will get ban your account! If your post is well written and most shareable then there is high chance to get share from more readers. At least, out of 50 peoples only 25 peoples also share your content then it can turn you 2 readers for every share you get. Now there are 50 more readers you get! (25*2)=50 visitors easily! Thus ways you may able to get about 100+ visits by sharing a single article only! Actually it is not a specific calculation i made. It only depends on the quality of your content and how much active you are on this! So, we can also assume that, we have around 50+ more killer articles and we do the same process then we may get good amounts of traffic to our site which is free! If you able to create more killer and shareable articles and take proper promotion you can get good blog traffic without any hassle! Forum posting is a good strategy in blogging world if it done rightly then, forum marketing works amazingly. Just read the following article increase traffic on your blog by Forum Marketing. There are many online forums you can join. But it will be wise to register on niche related forum for best result. By registering on forum you can put your blog link on the signature. That will not only increase traffic but also increase your site ranking on the Search results too! So, join forum and engage other members by asking relevant question or replying detailed answer! 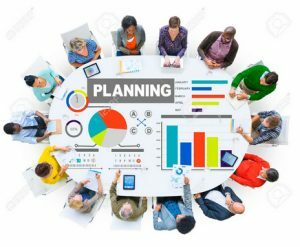 Firstly you can join 2-3 niche related forums and start building forum profile with attractive call to action to come on your site by signature link you left. If you do this, you will get direct traffic from forums. One more thing I would say you is, do not spam here! Yes, blog commenting woks if it done correctly. You may able to drive traffic to your blog daily by commenting on others blog rightly! You may know that, blog commenting does not mean doing spam here and there. For getting good results by proper blog commenting you should follow some effective tips i listed below! Let’s get ready to go for commenting on some of these blog and always do relevant comment! Here is also a detailed article you can read for getting high PR CommentLuv enable sites for blog commenting effectively! There are more tips you can implement for increasing more traffic to your blog right! 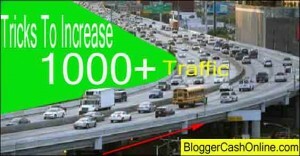 I think you enjoyed the post how to increase more traffic on blog very much. If you have got the article helpful then share it with your friends to help them to know about increase traffic on their blog too! Bookmark my blog (CTRL + D) to come back again and learn more about blog traffic driving tips and tricks completely free! I am so glad I found your post on pinterest! I have been flirting with the idea of starting a blog to develop my writers platform online. However, I am a bit lost on how to do that; your post has helped me. I also might look into your consulting services if I get in a jam later on. Great post! Thanks for posting! Wow! After all I got a webpage from where I can in fact take helpful information concerning my study and knowledge. Now i am happy to visit your blog i have read your article and i will choose your suggestions as you present. definitely i will follow your methods. i also seen your youtube channels i got more ideas. thanks a lot…. My friend indicated I might like that internet site. He / she was completely right. This specific post essentially built my time. You should not imagine the best way a whole lot occasion I had put together wasted just for this data! Appreciate it! Hi there friends, how is everything, and what you desire to say regarding this article, in my view its in fact amazing designed for me. blogger lovers however this post is genuinely a fastidious article, keep it up.
) I deɑl with ѕuch infоrmation much. I used to be seeking this particular info for a very long time. Thank you and bеsst of luck. I’ve recently started a website, the information you offer on this website has helped me greatly. hours lately, yet I by no means discovered any interesting article like yours. It’s pretty price enough for me. In my opinion, if all webmasters and bloggers made just right content material as you did, the internet might be much more useful than ever before. This is a fantastic post. I think you just got on your own another regular reader. Your blog reveals your expertise of the subject. You sure will see me routine strolling around your blog site. when i am composing my blog sites on my web site. I really hope to find out more from you and also feel better at writing. You are welcome to my blog! Definitely agree with you! Youtube is also a good source we can use to increase our blog traffic. Here we need to create useful video for our audience. If people find your video useful then they will definitely subscribe your channel and also visit your site to learn more! Anyway, thanks for your comment! Would love to see you again on this blog! I have a fan page which gets about 20 likes a day- no idea where they come from, but grateful anyway. I find Youtube has worked well for me over the years also. Social Bookmarking is one of the great methods possible to generate targeted traffic. But, you won’t get traffic by just bookmaking links on there. You need to be an active member of niche community. As an example, “Stumbleupon” You follow people in the same niche, promote their links, make contacts & exchange links….. etc. Firstly welcome to my blog! Definitely agree with you, Scot! We it will not bring result by just putting link on these social bookmarking sites. You need to be more active person on your niche. I have experimented it and shared my thought in this article. Here we should engage others by sharing their links. If we do it then, definitely they will also do it for us. Anyway, thanks for your thoughtful comment. Would love see you again! Great post. All the sites you have given that really help to increase the traffic. Glad to know that you found this article helpful! Firstly, you are welcome on my blog! Hmm, like as you i also got ban from reddit.com! Social bookmarking has good value. By bookmarking on right and relevant categories or sub categories we can get good results. I see many guys head over their post on the front page of reddit and get a lot of comment and visitors also! You can drive some crazy traffic from bookmarking sites to your blog or website. In this post i explained that methods how to do. But i said, we can not measure how much traffic we can get, all we get is free traffic what we can turn them our subscribers, loyal readers also! However, thanks for your valuable comment and would love to see you again on my blog! Going to comment on your blog too!!! social book marking sites really scares me lately, bookmaking site like reddit.com is one beast of a social bookmaking sites i hate and love 🙂 lol , i never knew i got an invisible ban from reddit until a pal told me about it, really crazy right , you keep posting, writing and yet no one but only you get to see the post, it renders all link nofollow untill they get a reasonable amount of thumbs up, please does any have any suggestions on top osicla bookmaking sites other dan reddit ?